…making your life a little more blissful each day. Would you wear this!?? — Leopard Print Earrings..
Lindsay Lohan: Extreme Suicidal Photo Shoot. NSFW. Not a Fashion Fail, but more like a LIFE Fail….Lil’ Kim. Looks i’m Loving #10: Danielle from Tough Love: New Orleans. 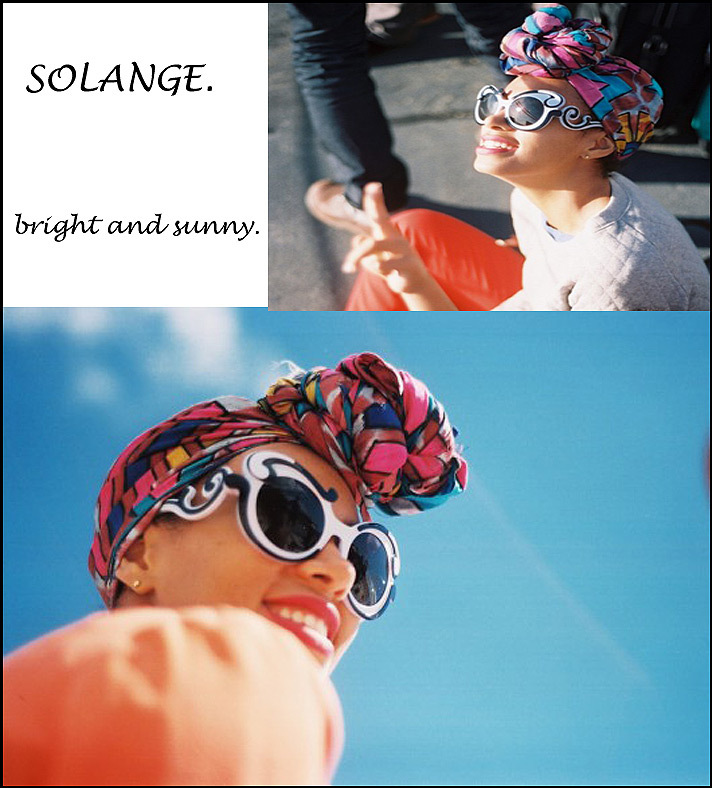 Looks that I’m Loving: Solange Edition!! I will absolutely be the first to say I don’t like a lot of Solange’s eccentric looks, but when she gets it right it’s marvelous! Turbans are definitely coming into style and she looks very unique, bright and sunny! I love it! Do you? Blissfully Beautiful Post #1: Rihanna.